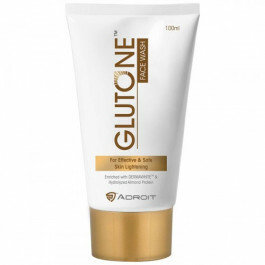 Replenishing glutathione stores is important for enhanced anti-ageing & skin lightening benefits. Q : What’s the difference between Glutone C tablets and Glutone? Q : Glutone 1000 mg tablet available? Q : Does it work on melasma as well? Q : Can I use this instead of Glutone 1000? A : No you can't since these are of 500mg day it will minimum take 6 to 7 months atleast to create a reserve of glutathione. Q : Kya isko bhi vitamin c ke sath Khana hai? A : ji haan iski aur vitamin c ki ek - ek goli ek glass pani me dal kar roj subha peeni hai. Q : Iske duration Kitna mahine tak ka hota hai? Q : Kya yeh sach mein kaam karta hai? A : Abhi dusron ka to pata nahi par meri liye bahut accha kaam Kiya Maine pehle 4 mahine Glutone 1000 ka course Kiya uske baad 2 mahine mein Glutone C ka aur mujhe kafi accha result Aaya. Q : Can I consume this instead of Glutone 1000? A : Yes you can but to create a glutathione reserve inside your body it will take more time. Glutone 1000 will take at least fl4 months to create that reserve but since you wish to take Glutone C (500mg) it will take just double the time that is from 6 to 7 months. Q : Is this product worth? A : If you have already invested in your 4 month Glutone 1000 course then I will definitely suggest you to go for this two month course to attain the desired results. It will help maintain your reserve. Q : Kya isme bhi Setria Glutathione hota hai? A : Yes it does. Q : Can I take them for my ageing signs? A : Yes, It can lighten almost all your ageing lines, mostly caused due to sun damages. Really an amazing product. One of the best supplement for skin glow. my doctor recommended for this product and this product and told me to take it for 3 months to see good results. even i have tried other brand supplements but i didn't got good result but i tried glutonec this is the most refreshing one and I’m very happy with the results. Liked and if found very effective plans for monthly online purchase . 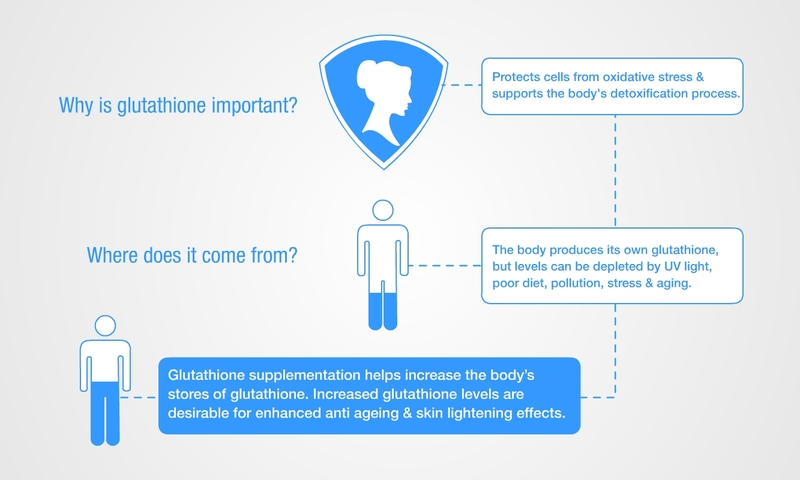 What’s the difference between Glutone C tablets and Glutone? Glutone 1000 mg tablet available? Does it work on melasma as well? Can I use this instead of Glutone 1000? No you can't since these are of 500mg day it will minimum take 6 to 7 months atleast to create a reserve of glutathione. Kya isko bhi vitamin c ke sath Khana hai? ji haan iski aur vitamin c ki ek - ek goli ek glass pani me dal kar roj subha peeni hai. Iske duration Kitna mahine tak ka hota hai? Kya yeh sach mein kaam karta hai? Abhi dusron ka to pata nahi par meri liye bahut accha kaam Kiya Maine pehle 4 mahine Glutone 1000 ka course Kiya uske baad 2 mahine mein Glutone C ka aur mujhe kafi accha result Aaya. Can I consume this instead of Glutone 1000? Yes you can but to create a glutathione reserve inside your body it will take more time. Glutone 1000 will take at least fl4 months to create that reserve but since you wish to take Glutone C (500mg) it will take just double the time that is from 6 to 7 months. If you have already invested in your 4 month Glutone 1000 course then I will definitely suggest you to go for this two month course to attain the desired results. It will help maintain your reserve. Kya isme bhi Setria Glutathione hota hai? Can I take them for my ageing signs? Yes, It can lighten almost all your ageing lines, mostly caused due to sun damages.